Shanhua Travel & Tours (M) Sdn Bhd was established in the year 1988 by Ms. Tracy Ang. 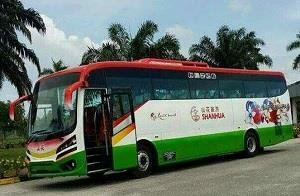 Shanhua Travel & Tours is well-known in providing excellent service to all the customers especially for residents in the Northern part of Malaysia.The popular bus service that Shanhua Travel & Tours offers is the bus from Penang to First World Hotel, Genting Highlands. Shanhua Travel & Tours also provides daily Genting Highlands tours from Butterworth, Penang, Bukit Mertajam, Nibong Tebal to First World Hotel, Genting Highlands. Shanhua Travel & Tours’s mission is to provide the customers with lots of memorable moments for every trip. Shanhua Travel & Tours is committed to serve all customers better, with a better service and at a very affordable price. 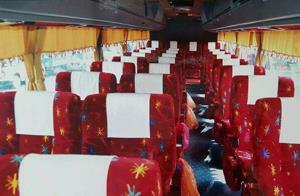 Shanhua Travel & Tours bus ticket now is available for online booking at BusOnlineTicket.com!